The Shahid Afridi Foundation Australia chapter was inaugurated in Sydney on Sunday 13 January 2019 by Senator Mehreen Faruqi and Consul General of Pakistan, Abdul Majid Yousfani. 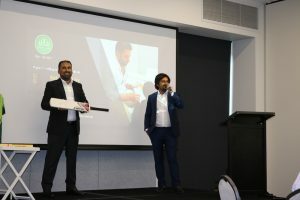 The charitable organisation founded by explosive Pakistani batsman Shahid Afridi nicknamed ‘boom-boom’ is working towards improving the lives of the underprivileged through healthcare and education and by providing clean water in remote areas of Pakistan. 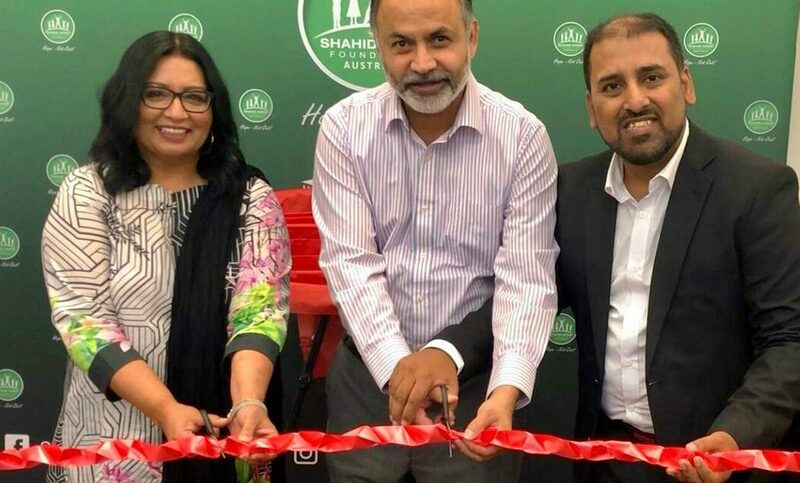 The event held at The Connection in Rhodes was organised by Meri Pehchan Pakistan, a community organisation promoting a positive and soft image of Pakistan in Australia. 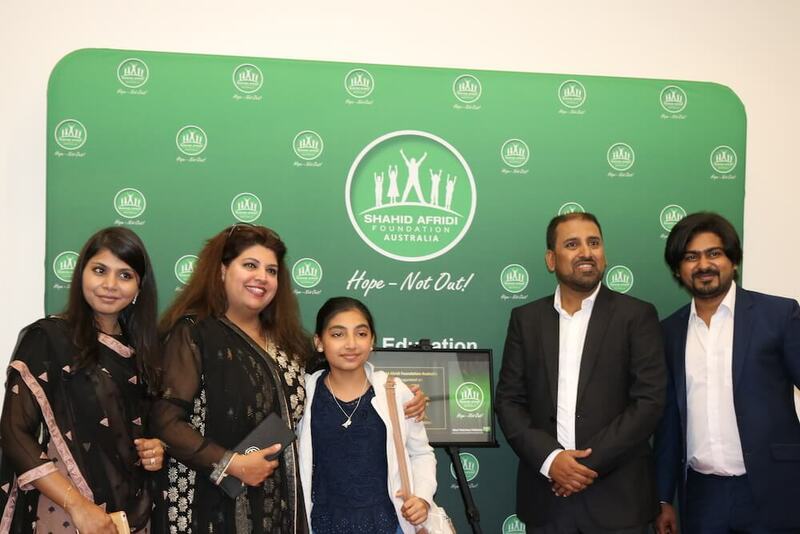 Representatives from Pakistani business community, cricket fans of Shahid Afridi, volunteers and media personnel including members of Shahid Afridi Foundation (SAF), Australia chapter attended the launch ceremony. 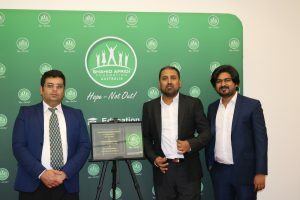 Country Director SAF Australia, Mr Syed Atif Faheem, during his welcome address, briefed about projects that SAF is involved with in order to improve quality of life of underprivileged people in Pakistan. 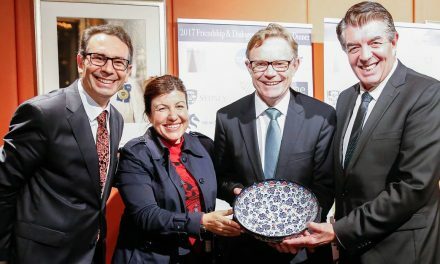 He also shared future plans of the organisation. 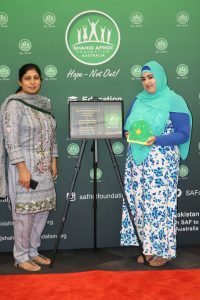 A video message specifically for the Australian launch of SAF was shown that also included the various programs and achievements of SAF since its foundation in 2014. 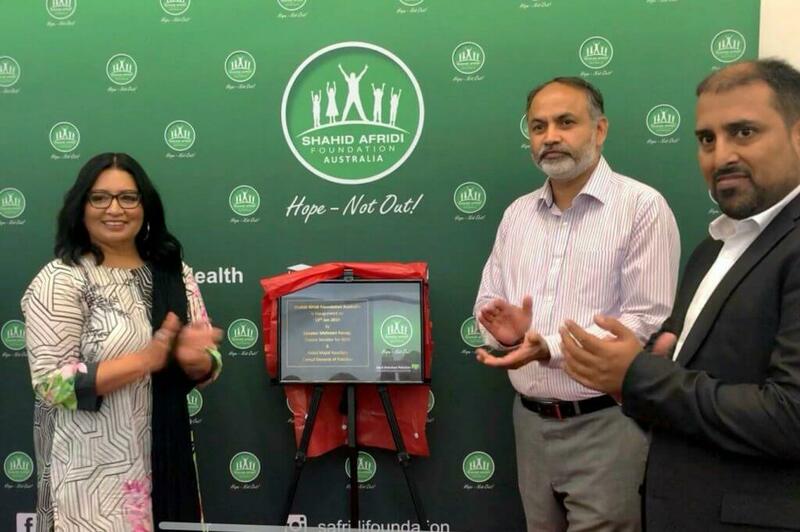 Senator Mehreen Faruqi, of Pakistani origin, representing Greens said that she identified with the aims of SAF working for the underprivileged and for social justice in uplifting the weaker sections of the society. 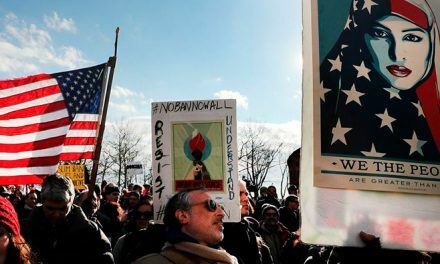 “Health care and education are vital and it does not matter where you live. Living without a roof on your head, without food is very difficult. Poor children walking long distances to get the water deprives them of education,” she said. The Consul General of Pakistan, Abdul Majid Yousfani thanked SAF for inviting him as the Chief guest and praised the efforts of Meri Pehchan, Pakistan for connecting Pakistan with the Australian community. 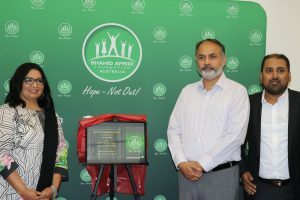 “There are great challenges Pakistan is facing in education, health and availability of clean and safe water and your help in sharing the pain of people back home by providing support in these areas is highly appreciated,” Mr Yousfani said. The program included a trivia quiz on Shahid Afridi’s cricket achievements with prizes given to the winners as well as auction of Afridi’s signed memorabilia including cap, T-shirt and bat which were most competently snapped up by the audience. 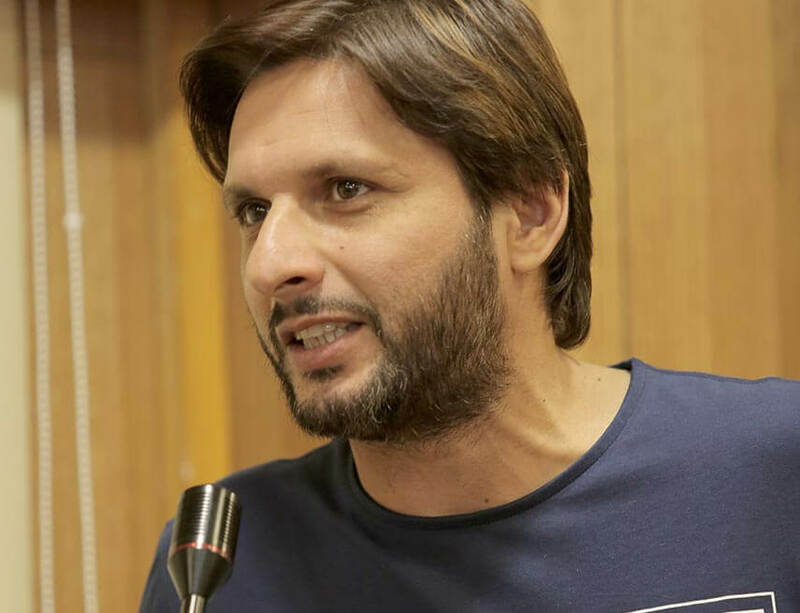 Shahid Khan Afridi is a former captain of the Pakistan national cricket team and feared batsman especially in the one day format of the game. 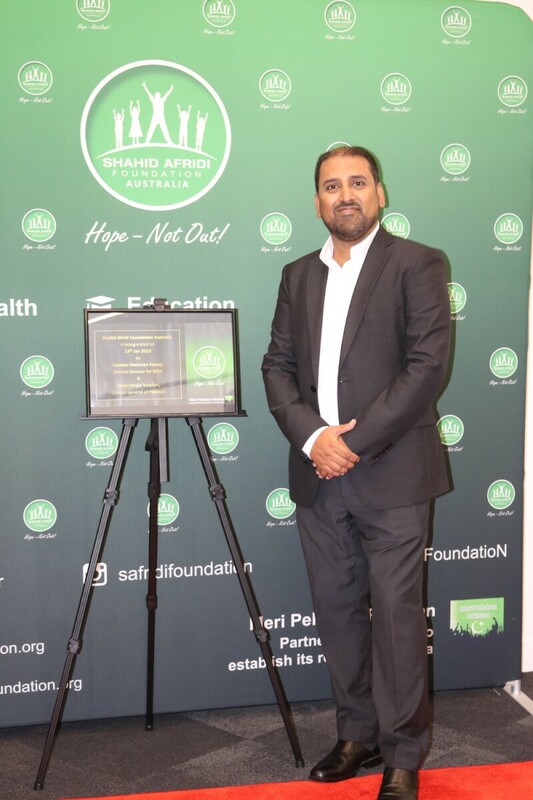 Now a philanthropist extraordinaire, he leads SAF on a global level with the primary objective of establishing a healthy, stable and secure life for the underprivileged people in Pakistan, especially children. Similar to other Non-Profit organizations, Shahid Afridi Foundation (SAF) also has a simple vision to help the world enjoy peace and equality through the improvement of health and education. SAF aims to create a global alliance with other reputable foundations to serve people irrespective of any race, religion and origin. The first project of the foundation was successful development of a hospital in Tangi Banda Village of Kohat with the name of “Sahibzada Fazal Rehman Memorial and Charity Hospital”. The foundation also worked on the water shortage issues in the villages of Khyber Pakhtunkhwa by fixing simple hand pumps. 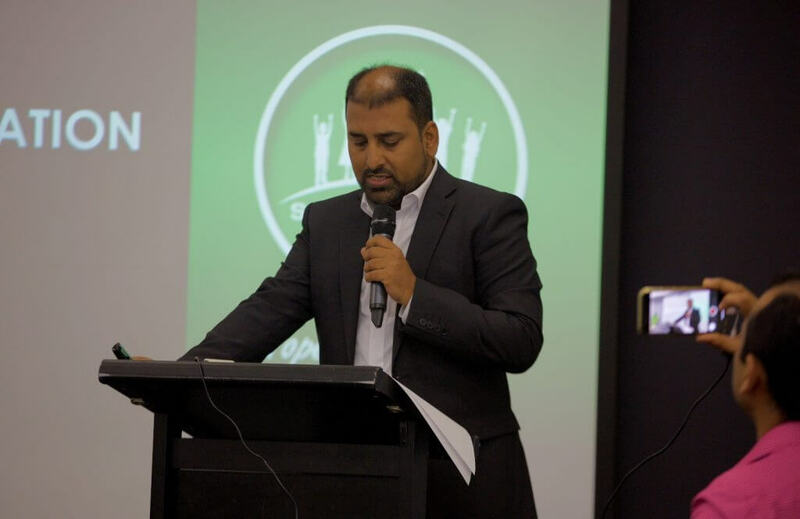 SAF’s mission and vision are based on five core values that are followed tthroughout the organization by each member both seamlessly and religiously. 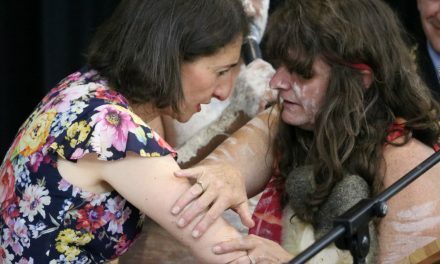 FAITH – Performing activities and programs in a way that builds faith amongst the public, donors and Corporate Partners. 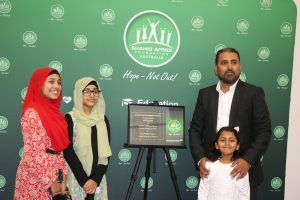 CHARITY – Striving to generate funds for deserving and vulnerable groups in order to elevate their morale and generate hope. ETERNITY – Providing a source of help and sustenance for life with the model of empowerment. COMMUNITY – Engaging volunteers, leaders of community, public figures and other non-profit organizations to develop successful programs and plans that ultimately provide benefits to the deserving citizens. 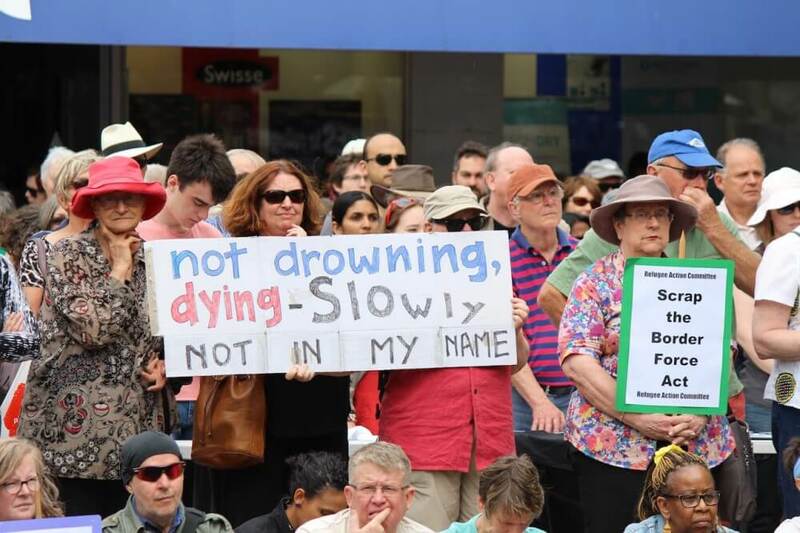 EQUITY – Contributing to ensure fair and impartial practices in the belief that all humans should be treated equally in society, and in terms of access to healthcare, education, living standards and rights.